All Lanuva products are 100% organic certified by the USDA. You can check the USDA organic symbol on all of our products for assurance. No additive. Period. No additives, preservatives, nor binding materials are used in Lanuva products. 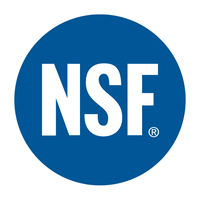 We manufacture all of our products in the GMP and the NSF certified facility in the USA. Very reliable products. I have been taking maca prime for years and it has been doing wonders for me. Thank you! I love Lanuva’s Maca Prime tablets. It is very easy to take and doing wonders for my body. Lanuva’s products are the highest organic superfood you can find these days. I have been taking their products for four years now and love how their products remain high quality over the years. Love you!